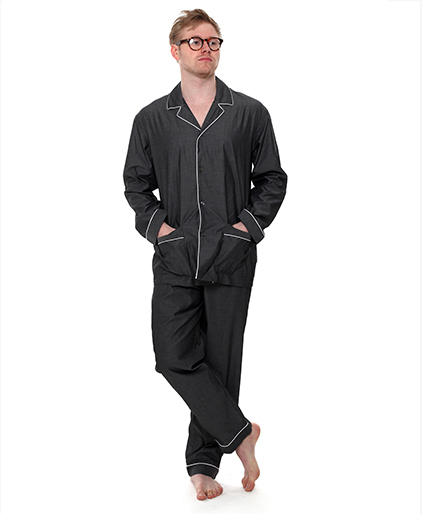 This traditional Zimmerli Pyjama Set has always been our bestseller. It consists of a button-through nightshirt and trousers combination. The charcoal colouring, detailed with white trimming, creates a masculine finish to the ensemble. Made from Ultrafine Cotton Broadcloth , this sleepwear outfit is both comfortable as well as being classically styled. 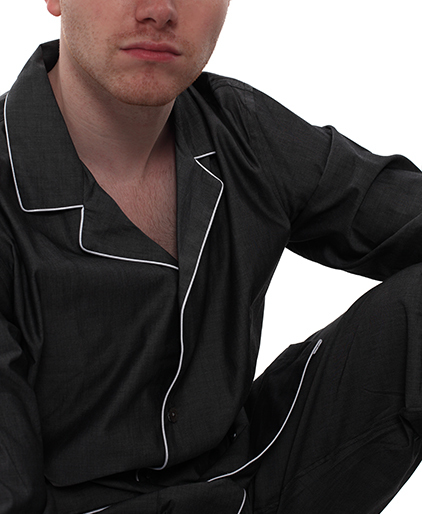 This traditional Zimmerli Pyjama Set has always been our bestseller. It consists of a button-through nightshirt and trousers combination. The charcoal or the blue is detailed with white trimming, creating a masculine finish to the ensemble. Made from Ultrafine Cotton Broadcloth , this sleepwear outfit is both comfortable as well as being classically styled.